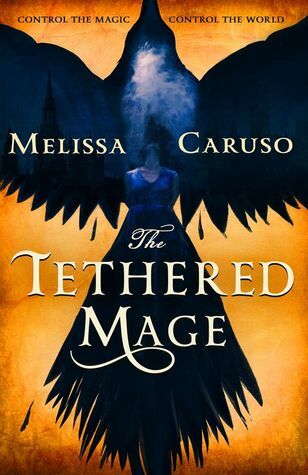 Melissa Caruso dazzles with her debut release The Tethered Mage, first in the Swords and Fire trilogy! The Tethered Mage was an enchanting story immersed in fantasy. Set in an almost Victorian era Italy, readers are drawn into the city of Reverran. With it's sweeping streets and temperate canals, this vibrant jewel of the Empire is easily brought to life on the pages through Caruso's magnetic writing. From the onset, readers are thrust into the action with an out of control mage threatening to burn the city to ashes. We're then swept into the magic and mayhem of the story as Amalia steps into the role she was destined for, and another she never imaged, as she tries to keep the empire from self-destructing while earning the trust of the wary, Zaira. Based on today's bird falconry, the concept of falcons, mage-marked warlocks with powers that range from an affinity with machinery to controlling the weather, being tethered to falconers, a person in the imperial army who has the ability to leash and unleash their mage's powers, was definitely a unique premises. Zaira never chose to be a falcon, just as Amalia never chose to be her falconer. But while Amalia accepts her new role, Zaira refuses to. Zaira's character was sarcastic, distrusting, and volatile throughout the majority of the story. 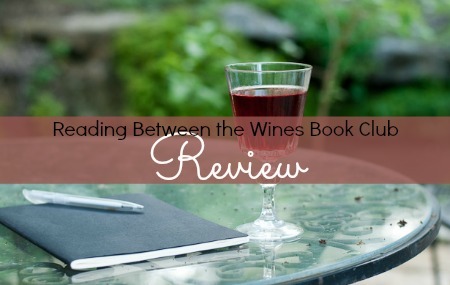 While her sarcasm and whit oft times lent humor to the tale, her character was stagnant until the very end which left me disliking her for a majority of the book. Her complete opposite was Amalia. I adored her character, though she was too trusting and naive at times, the showed exceptional growth with each new page. The handsome and honorable Lieutenant Marcello Verdi added a touch of slow-burning and taboo romance to the story. While his relationship with Amalia doesn't progress very far in the physical sense due to social restrictions, their yearning to have more was palpable from the pages. Many dreamy sighs were had while reading scenes centered around these two. Between these three characters though, the dialogue was continuously entertaining. While The Tethered Mage is a character driven story, with magic at it's center, there are currents of political drama that propels the story forward. I was kept guessing throughout the many plot twists and the ending was brilliant. The Tethered Mage is essentially a coming of age story with characters that straddle the line of young adult and adult. Unless I'm mistaken, the ages of Amalia and Zaira are never given, but you get the feel that they're in their late teens. Riddled with intrigue and with a gentle touch of angst and longing, I was captivated from start to finish. The integration of magic and falconry works beautifully, the prose flow freely, and the characterization is gripping. I can't wait to read more from the Swords and Fire trilogy, and am eagerly anticipating The Defiant Heir. Will Amalia and Marcella ever have a future? Will the the prince of Vaskandar, Lord Ruthven, use his stolen knowledge to bring destruction to the Empire? Will Zaira ever except her fate and learn control? I'm looking forward to finding out!